The Wrothgarian Mountains form a large region in High Rock, northeast of the Iliac Bay. 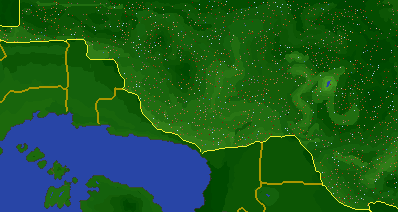 The region borders Phrygias, Dwynnen, Kambria, Koegria, Alcaire, Menevia, Orsinium Area, Wayrest, and Gavaudon. Its capital is the city of Wrothgaria. The dominant vampire bloodline of the region is Lyrezi, and the regional deity is Kynareth. The Castle Shedungent, home to Nulfaga, is located deep within these mountains. The mountains are also home to The Daughters of Wroth and the Wroth Coven can be found here. This page was last modified on 28 June 2017, at 05:41.